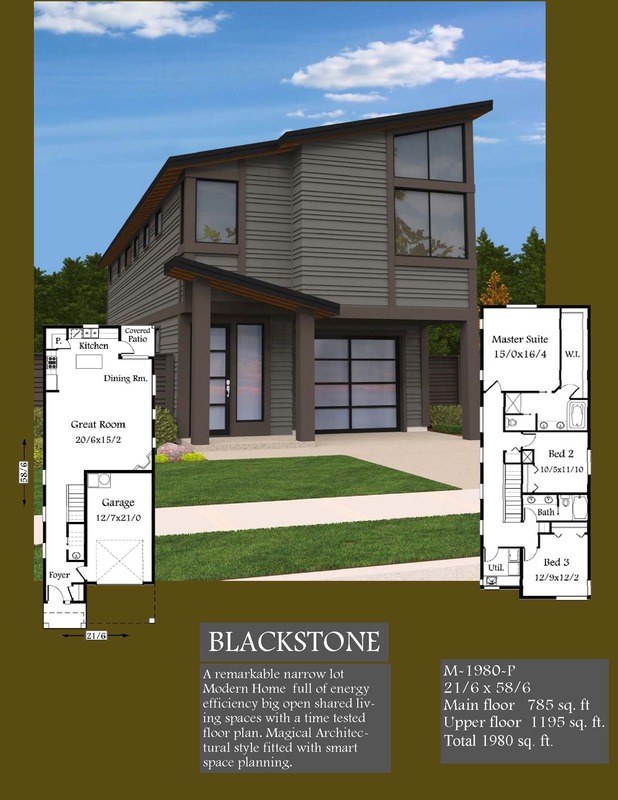 A remarkable narrow lot two story small modern house plan, full of energy efficiency, big open shared living spaces, all with a time tested floor plan. This 3 bedroom, 2.5 bath home offers you a “magical” Architectural style that’s fitted with smart space planning. 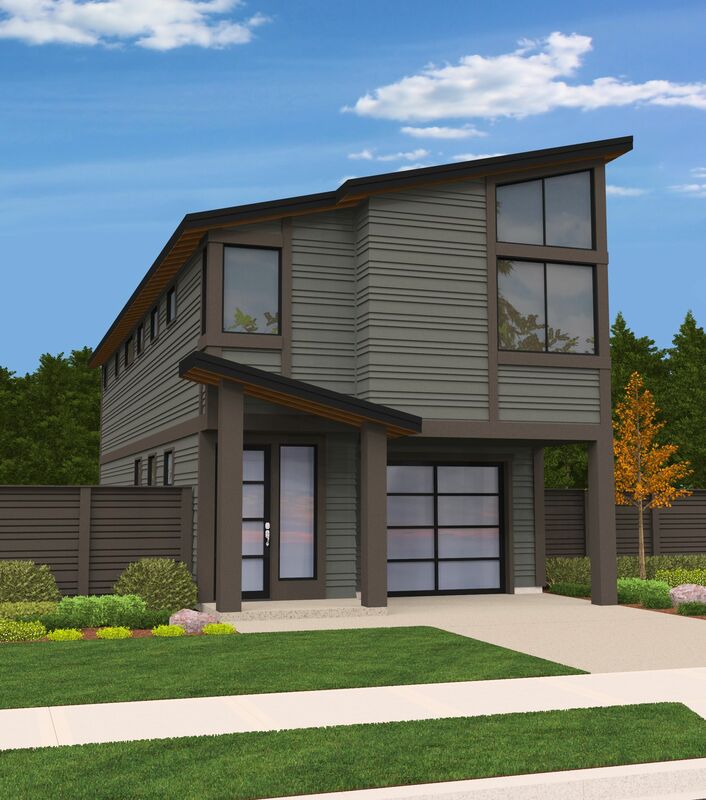 At 1,980 square feet, this exciting Modern Design has all the best features in a “Sized Just Right” floor plan. On the main floor you will find all of the living areas including the great room, dinning and kitchen area while the spacious master suite is upstairs along with two additional bedrooms and a full bathroom. Learn more about this home by calling us at (503) 701-4888 or click here to connect with us online.